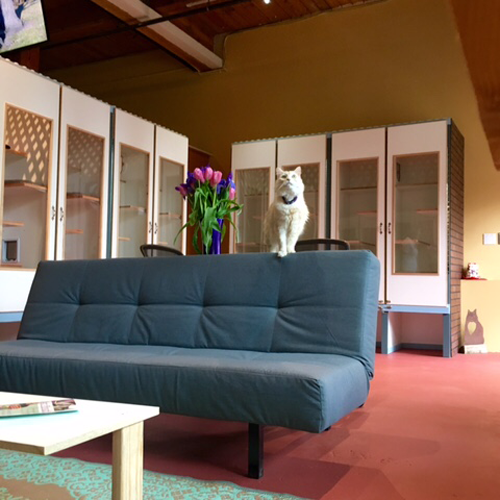 ​Pounce Play and Stay isn't your typical boarding environment, more like "home away from home." 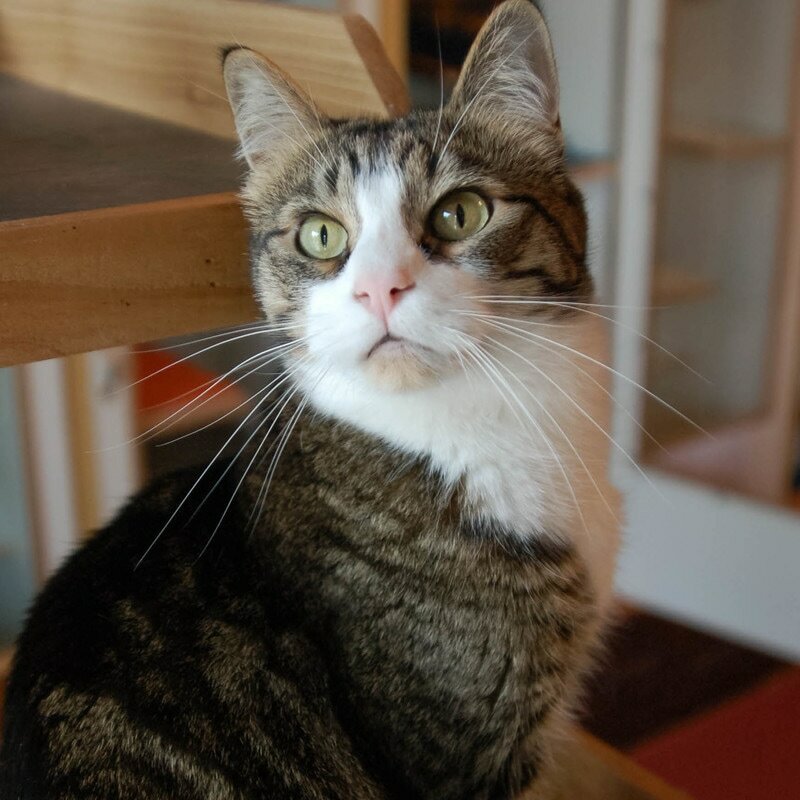 We are a feline-only hotel located in the Eliot-Irvington neighborhood, near the Nike store. You will not find metal cages, cramped spaces, or loud noise. 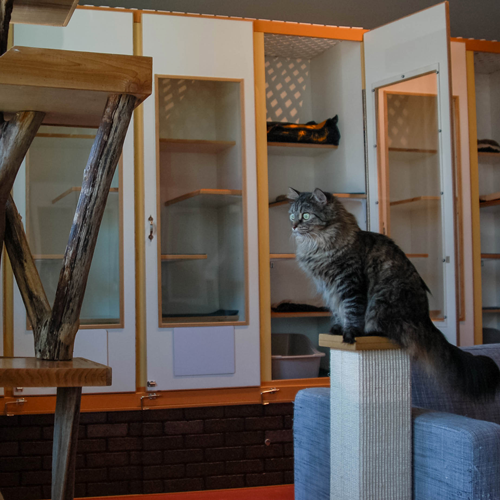 We've designed custom, single and multi-level suites to accommodate cats of all ages, sizes and abilities. 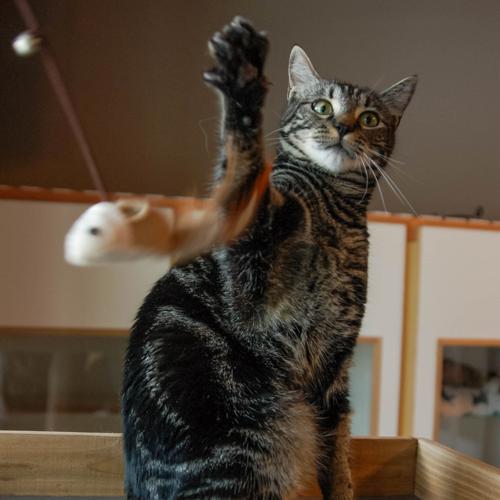 All stays include play time in our 1,000 square foot "cat-ified" community cat lounge, which includes multiple scratching posts, cat climbing towers, giant windows seats, wall perches, filtered water fountains, sofas, and cat cat-safe plants, galore! Plus, there's plenty of interactive play, kitty socialization, brushing, massaging and snuggles to go around! Check out the hotel's layout, including the community play lounge and the private suites that we offer. Since we offer a shared space, we have a health protocol which is required for cats in our care. This section includes the necessary forms you will need to get a reservation at the hotel.